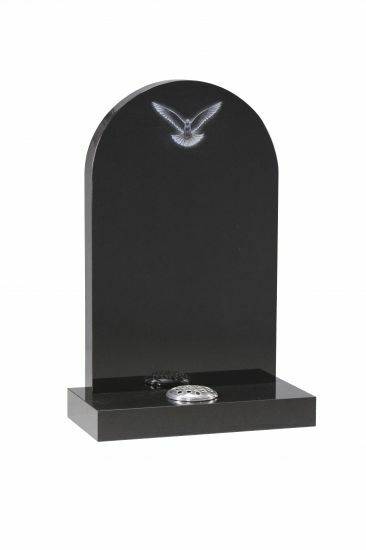 Dense black granite 3' half round top lawn memorial with etched Dove design. HS 33"x21"x3" upon base 3"x24"x12". © 2019 Kenward and Son. Website built by Sparkdriver. Valid HTML and CSS.